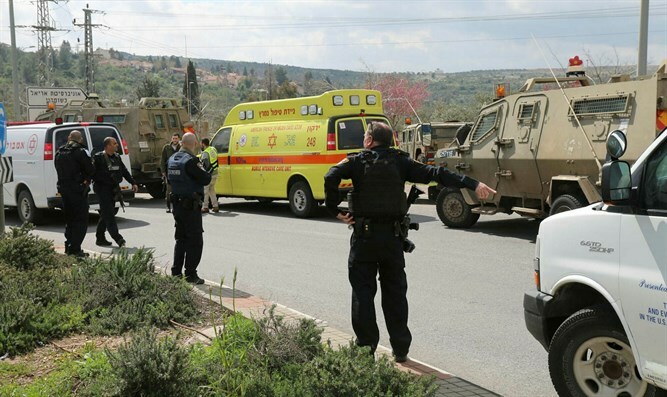 IDF informs family of terrorist who murdered two in Ariel of upcoming demolition. The IDF on Tuesday informed the family of terrorist Omar Abu Lila that their home will soon be closed for demolition. Abu Lila carried out a double terror attack last Sunday, at the Ariel and Gitai Avisar junctions. IDF soldier Gal Keidan, 19, was killed in the attack, and Rabbi Ahiad Ettinger, a 47-year-old father of twelve, died of his wounds a few days later. Abu Lila initially escaped the scene, but was located by the IDF two days later and eliminated during a firefight. On Monday, the IDF's Central Command Commander Major General Nadav Padan signed an order to confiscate and demolish the home in which terrorist Arafat Arafiah lived after a court rejected the family's appeal to leave their home standing. Arafiah raped and murdered Ori Ansbacher, 19, on February 7, in Jerusalem forest.